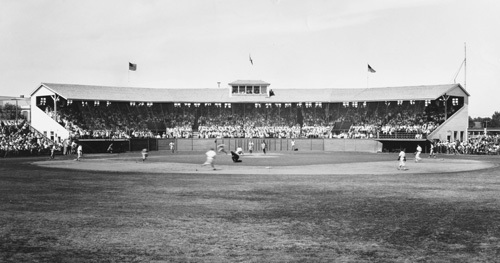 Homefield to the Aberdeen Pheasants, the grandstands in the picture were built in 1920. 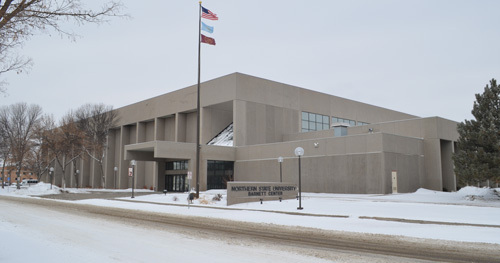 The ballpark was bought by the state in 1968 to expand Northern’s campus. In 1987, the Barnett Center was completed on the plot where the ballpark had stood.